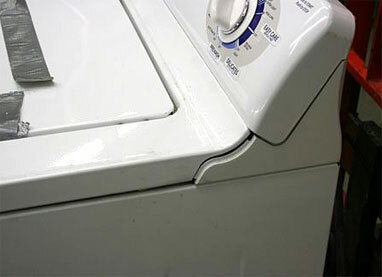 THE CAUSE OF FAILURES IN WASHING MACHINES CAN BE DETERMINED QUICKLY AND EASILY THROUGH OUR LABORATORY EXAMINATIONS. Floods due to washing machine failure can be the result of many situations including a structural defect as pictured here. Improper installation, careless delivery procedures, or even a manufacturing defect can be shown to be the root cause. 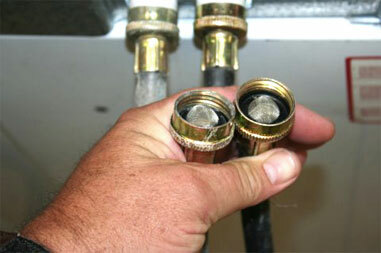 Defective or worn out hoses and plumbing fittings often fail causing destructive flooding. Owner neglect is a possible cause here along with improper installation. Laundry room piping that is too close to uninsulated walls can freeze and burst with highly destructive results. 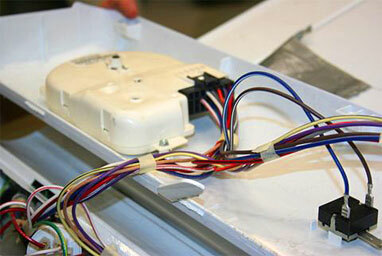 The electrical system within a clothes washer controls many functions including water shutoff. Failure of any part within the electrical system can cause the machine to malfunction resulting in destructive flooding.